Warner Bros. Pictures’ The LEGO Batman Movie remained in first place over the Presidents’ Day holiday weekend, earning $34.2 million for the three-day portion and an estimated $45 million over the four days. 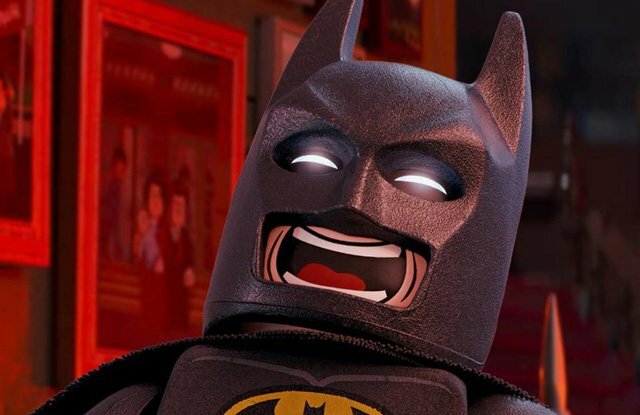 The LEGO Batman Movie has grossed $98.8 million in North America in two weeks. Internationally, the film added $21.5 million this weekend from 62 markets, for an overseas total of $72 million and worldwide sum of $171 million. Made for $80 million, the Chris McKay-directed film features the voices of Will Arnett, Zach Galifianakis, Michael Cera, Rosario Dawson, and Ralph Fiennes. Universal Pictures’ Fifty Shades Darker took in $21 million over the three days and is projected to reach $24.2 million through Monday. The sequel has earned $89.7 million domestically after two weeks. Overseas, Fifty Shades Darker was again No. 1 with $43.7 million and has earned $187.2 million, for a worldwide total of $276.9 million. The first film, Fifty Shades of Grey, grossed $166.2 million domestically, $404.8 million internationally, and $571 million worldwide in 2015. Directed by James Foley, the $55 million adaptation of the E L James novel stars Jamie Dornan, Dakota Johnson, Bella Heathcote, Eric Johnson, Robinne Lee, Fay Masterson, Tyler Hoechlin, Hugh Dancy, Kim Basinger, Luke Grimes, Eloise Mumford, Max Martini, Rita Ora and Marcia Gay Harden. 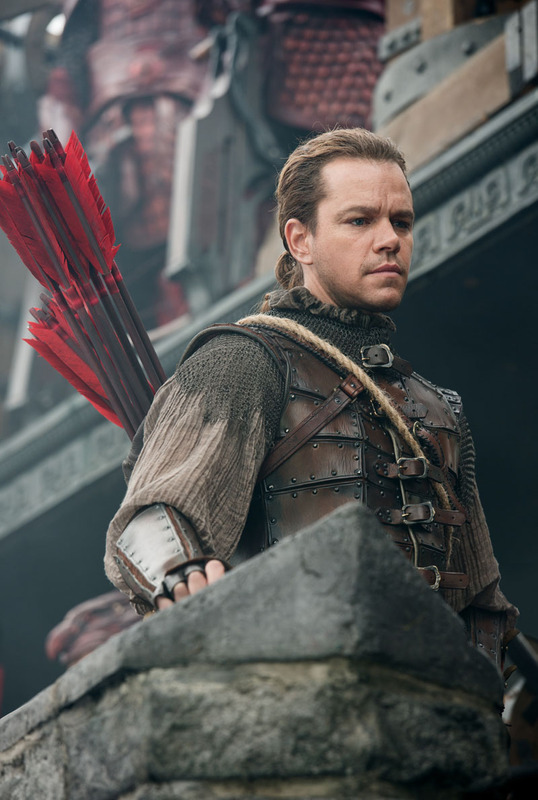 Universal’s The Great Wall started opening internationally back in December and has now finally debuted in North America with $18.1 million from 3,325 theaters. The third-place finisher is expected to have taken in $21 million after Monday. Overseas, the $150-million budgeted film has brought in $244.6 million, for a worldwide total of $262.7 million. Receiving a B CinemaScore from audiences, the Zhang Yimou-directed film stars Matt Damon, Jing Tian, Pedro Pascal, Willem Dafoe, Zhang Hanyu, Eddie Peng, Lu Han, Kenny Lin, Wang Junkai, Zheng Kai, Cheney Chen, Huang Xuan, and Andy Lau. John Wick: Chapter 2 (Lionsgate) dropped a spot to fourth with $16.5 million for the three days and $19.5 million for the four-day holiday. The hit action film will have earned $61.7 million through Monday. It’s already surpassed the original John Wick, which earned a total of $43 million domestically. John Wick: Chapter 2 took another $15.6 million from 62 markets its second weekend, lifting the international total to $31.8 million. The Chad Stahelski-directed sequel stars Keanu Reeves, Common, Laurence Fishburne, Riccardo Scamarcio, Ruby Rose, Lance Reddick, Bridget Moynahan, Franco Nero, John Leguizamo and Ian McShane. New Line comedy Fist Fight rounded out the top five with $12 million from 3,185 theaters and the newcomer will earn about $14.6 million over the four days. Directed by Richie Keen, Fist Fight stars Ice Cube, Charlie Day, Tracy Morgan, Jillian Bell, Dean Norris, Christina Hendricks, Dennis Haysbert, and JoAnna Garcia Swisher. It received a B CinemaScore from audiences. In sixth, 20th Century Fox’s Hidden Figures added another $7.1 million over the three days and $8.5 over the four, for an impressive domestic total of $144 million after nine weeks. Internationally, Hidden Figures grossed $7.3 million this weekend to bring its overseas total to $21.2 million. Costing just $25 million to make, the Theodore Melfi-directed film stars Taraji P. Henson, Octavia Spencer, Janelle Monáe, Kirsten Dunst, Jim Parsons, Mahershala Ali, Aldis Hodge, Glen Powell and Kevin Costner. M. Night Shyamalan’s Split (Universal) collected $7 million in seventh place and $8.1 million through Monday. The thriller has earned $123.6 million domestically and $69.5 million overseas, for a worldwide total of $193.1 million. Made for just $9 million, Split stars James McAvoy, Anya Taylor-Joy, Betty Buckley, Jessica Sula, and Haley Lu Richardson. Gore Verbinski’s A Cure for Wellness (20th Century Fox) had a rough start in tenth place with just $4.2 million from 2,704 theaters Friday to Sunday, and an estimated $4.8 million for the four days. Internationally, the film debuted with $4.5 million in 36 markets. Dane DeHaan, Mia Goth and Jason Isaacs star in A Cure for Wellness, which was made for $40 million and received a C+ CinemaScore.